Since prehistoric days man has used a dog to help him track animals for food. 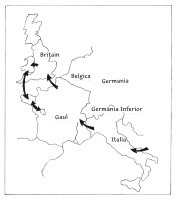 As Greek and Roman tribes moved northwards with their prized hunting dogs and settled in Gaul (modern day France), the sport of venery, or hunting with hounds, became firmly associated with that country. History records that royalty and noblemen were enthusiastic huntsmen and that, through the Middle Ages, hunting remained the Sport of Kings. 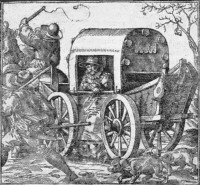 Riding to hounds reached a peak in the 17th and 18th centuries and, during that time, huntsmen bred hounds for a specific purpose, with large, powerful ones being used for large game. However there is also evidence of the emergence of a shorter-legged hound. 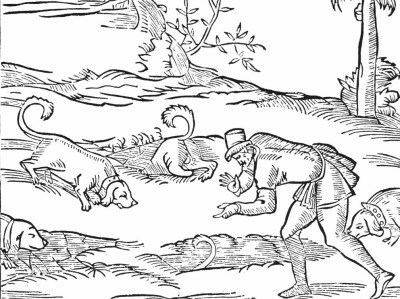 In his 1561 work La Venerie (The Art of Hunting) Jaques du Fouilloux described a type of hound with short legs and strong, low body. 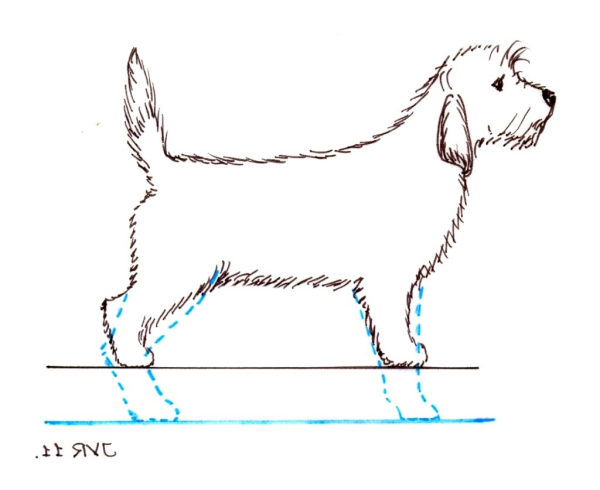 It is widely believed this and the woodcuts illustrating the shorter-legged dogs were the first ever reference to the "basset" (bas means low - therefore low set). 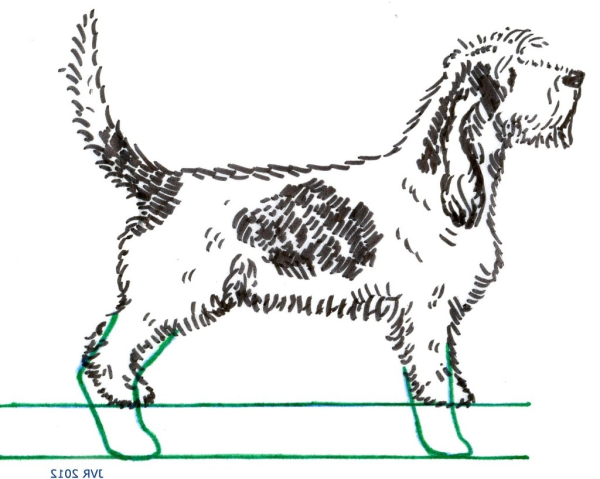 This hound was further classified by coat varieties - smooth-coat, rough-coat, and half-rough/half-smooth. Degree of crook of the foreleg was also important. In general the crooked-legged (à jambes torses) bassets were shorted-coated, whereas the straight-legged (à jambes droites) or ones with slight crook (à jambes demi-torses) - were mostly rough-coated, forerunners of Bassets Griffons. There is additional evidence that shorter-legged hounds existed as far back as the 16th and 17th centuries. The Chateau of Langeais on the banks of the Loire was built in 1645 by Louis XI to defend against possible attacks from the Dukes of Brittany. A Chateau tapestry depicts basset type, long-eared hounds. The onset of the 1789-1799 French Revolution brought about the downfall of the aristocracy, with their packs of hounds, some large or of varying height, being disbanded. However, faithful servants managed to preserve a few specimens. These poorer huntsmen, who followed the hunt on foot, realised that a slower hound was more suitable for smaller game and the best way to restrict speed was to shorten length of leg. 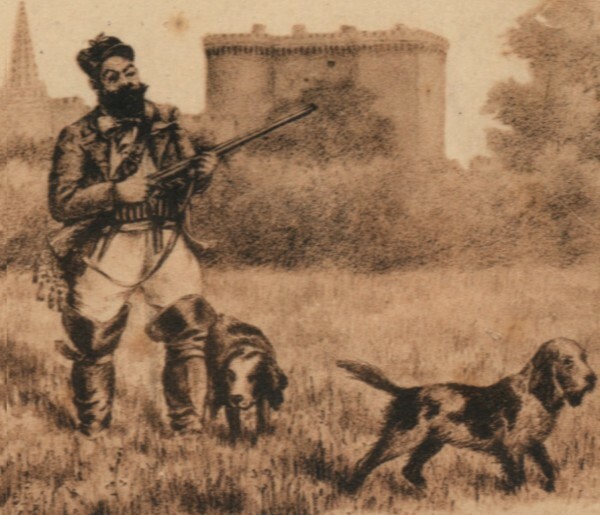 Indeeed, even the gentry included at least several basset type hounds in their kennel for those occasions when they preferred setting out on foot rather than on horseback after hare, rabbit and other small game. To perpetuate this useful low-to-the-ground scenthound, a process of selection continued by breeding from the shorter-legged specimens in litters. Of course the true origins of countless hound breeds are shrouded by the mists of time and we will never be certain how or when different strains of the same breed, or even completely different breeds, were introduced into a line. History records that dedicated breeders cross-bred with other similar breeds to restore quality and, to this day, keen huntsmen will draft in closely related breeds bearing qualities needed to better their stock and thus improve hunting ability. It follows that a basset must be longer than his height, otherwise he would not be a basset. To enable him to hunt, he has to be constructed properly and that means being well balanced, which aids endurance and efficiency when working - and a balanced hound is a stylish one both standing and moving. The basset is an animal whose legs are disproportionately short in relation to the size of his body. This growth anomaly is called achondroplasia. There are, of course, several breeds of dog, such as the Corgi, Dachshund and Dandie Dinmont, whose legs are short but the basset breeds are special. Many of the straight-legged Grand Chien (large dog) French scent-hounds have a basset (low to the ground) version. One school of thought is that when, by freak of nature, the first basset-sized hounds appeared in normal Grand Chien litters, breeders realised that, by breeding basset to basset, this type of hunting hound would be invaluable. Couple this with the efforts of the poorer huntsmen to produce a hound they could follow on foot and there emerged the basset breeds we know today - keen scenthounds with ears sweeping low on the ground to catch the rising scent, plus with an ability to get through thick undergrowth which the longer-legged hounds found difficult. As with other hound varieties, we will probably never discover the true origins of the Basset Griffon Vendeen. However there is much we do know, from the early evidence of rough-coated Segusian hounds,leading up to the time when reliable information is available. 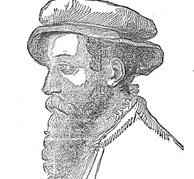 as far back as the 16th century. With skilful breeding, peaking during the latter part of the 19th century, shorter-legged rough-coated hounds, identified with the specific regions of France - including the Vendee - began appearing. Basset Griffon Vendeen as we know it today. 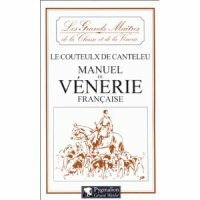 The Vendee has always been typically good hunting country and the type of hound that evolved in this region was ideal for foraging through dense undergrowth, with its rough, wiry coat giving good protection against thorns and brambles. 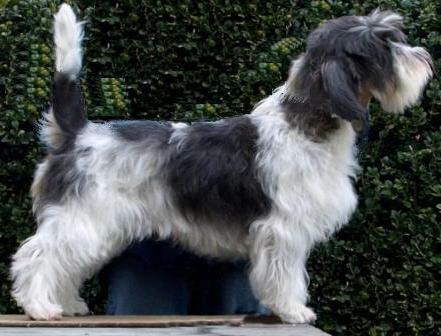 Three types of rough-coated Vendeen hounds stemmed from the Grand Griffon Vendeen, a dog of some 60-65cm, with a strong frame but without heaviness. These were the Briquet (50-55cm); and, divided by height and type, the Grand Basset Griffon Vendeen (39-44cm) and Petit Basset Griffon Vendeen (34-38cm). The Grand Basset Griffon Vendeen and Petit Basset Griffon Vendeen as we know them today.